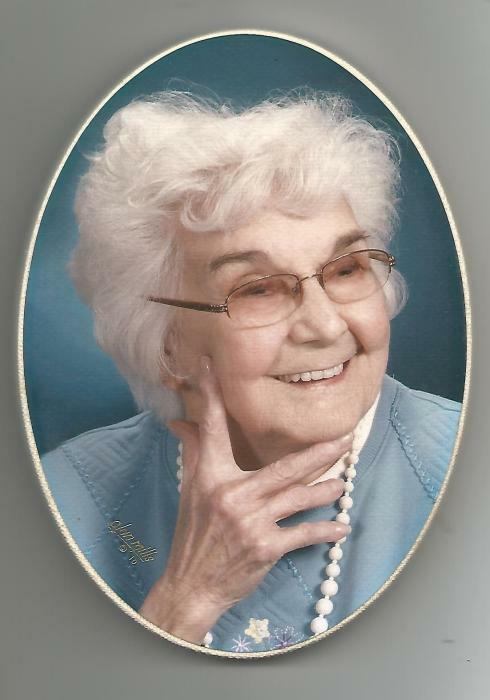 Elizabeth (Betty) Stephenson, 97, of Great Falls, passed away January 17 2019 at Peace Hospice of natural causes. No services are planned at her request. Betty was born on November 9,1921 in Big Sandy, MT to parents Earl Albert Brewer and Gertrude Fay Wallace. She was raised in Geraldine, MT and graduated from Geraldine High School after which she completed 2 years at Northern Montana State University in Business Education. Betty waitressed at night so she could be home with children until they were older. She worked as a bookkeeper for an insurance company and later for Dale Stapp Fashions, followed by retirement. The majority of her life was spent with family, church, children, and hosting bible studies at her home.Betty had an open door policy and the coffee pot was always on. Her hobbies included coin collecting, Crocheting, writing cards or letters to friends. Betty also loved gardening for which she received an award from the Great Falls Beautification Association for her flowers. Survivors include daughter; Dona Lyn Kabeary, son; Larry W. Mogstad (Ronee) sisters Bernice Beck and Alberta Grefsrud (Gary), brother-in-law; Gary Salo, numerous nieces and nephews, 4 grandchildren, 7 great grandchildren and 1 great great grandchild. Those who have preceded Betty in death include her parents and husband John Wallace Stephenson, sisters Marge Salo, Helen Buck, and brother Wally Brewer. Memorial donations are suggested to Peace Hospice of Great Falls, MT. or donation to charity of your choice.